These are lyrics by Leif Garrett that we think are kind of repetitive. 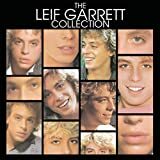 Leif Garrett's, "I Was Made For Dancin'"
This chorus is repated at least five times and makes up nearly the entire song, aside from two very short verses. Oh, I forgot, there are a couple of 'yeahs' thrown in here and there to create a bit of interest. Hee hee.